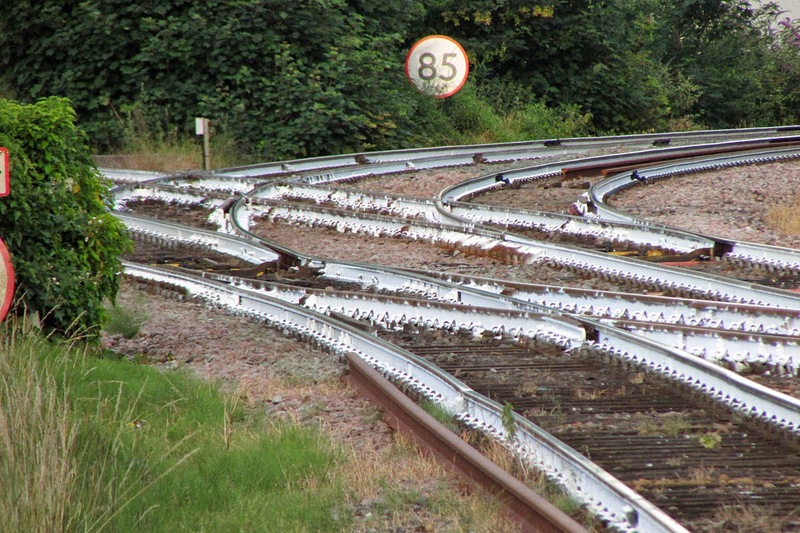 Recently fitted trackwork at Romsey, my understanding is that the white rails are to reduce the expansion caused by sunlight, and is most often seen at switch work like this. There is a similar stretch on plain track at Totton. 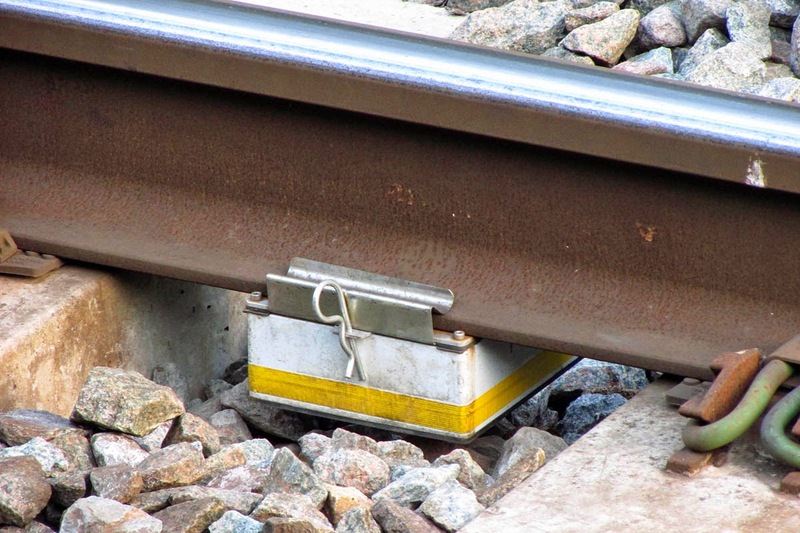 This box is under track closer to the station, and I think it has been recently fitted. Google has not been my friend on this one. Does anyone know what it is?